CLEARANCE! Quantities Limited to Stock on Hand. Final Sale. 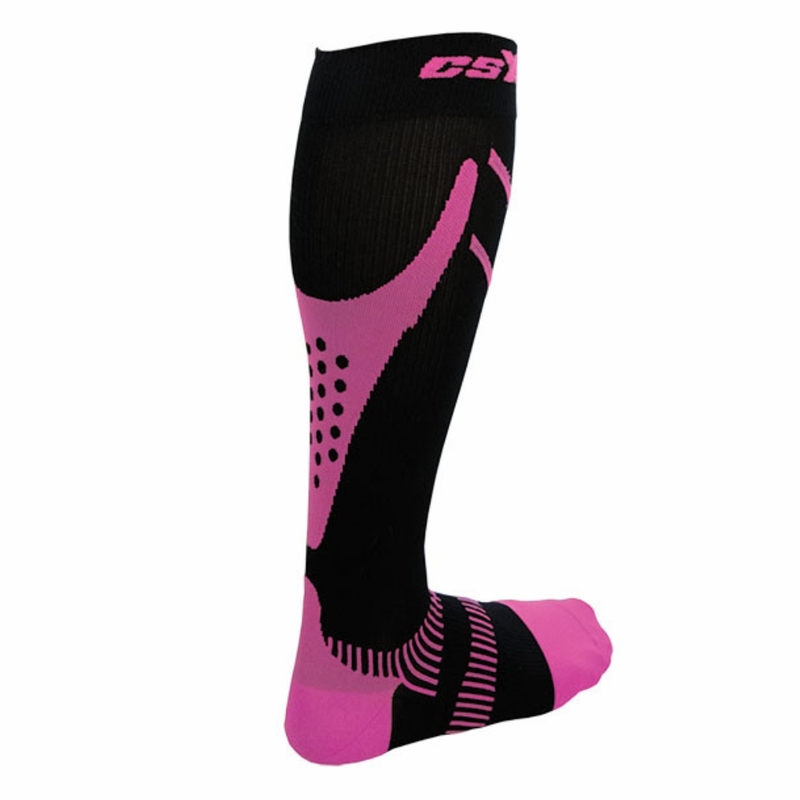 CSX Compression Sport Socks provide 20-30mmHg of graduated compression that starts with the greatest support at the ankle that reduces gradually up the leg. CSX Running Compression Socks reduce the diameter of the superficial veins in the lower leg improving blood flow which can help protect, energize, and renew tired muscles. 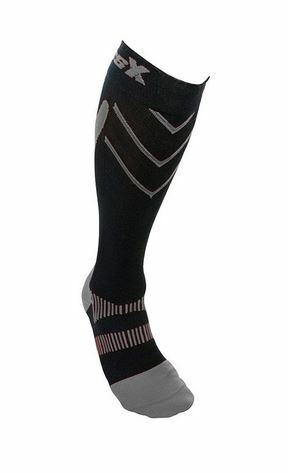 These compression socks for running feature moisture wicking high filament material that has an odor reducing anti-microbial treatment. They have an extra wide, self-adjusting top band that prevents the socks from slipping down. Wherever there is color, that is where there is adding protection. 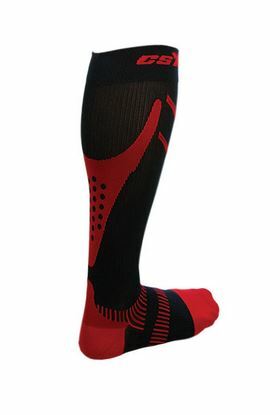 In front is the V-Guard Shin Protection that helps prevent shin splints. In the back, the calf cradle helps prevent calf strains. It also feature achilles tendon protection and an arch support band. They also have a seamless toe box. 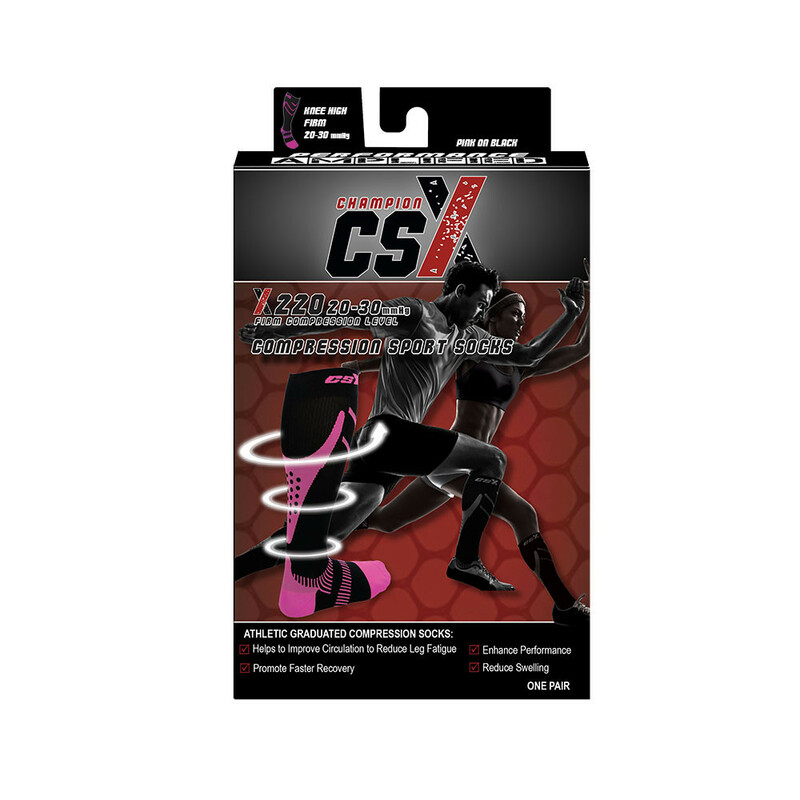 CSX Compression Sport Socks compare to CEP, Zensah, and Sigvaris Compression Socks. Available in 3 colors and 4 sizes.